There are few more glamorous ways to travel than by light aircraft. If you're planning an Ultimate Winery Experience in Australia, why not throw in a helicopter flight, private plane or perhaps a hot air balloon to really lend your experience some wow factor. Here are some winery experiences that include the option to take in the region from the sky before swooping in like a rockstar. Fly to Margaret River in a privately chartered Piper Navajo aircraft on a 45 minute journey over Australia's stunning south western coastline. 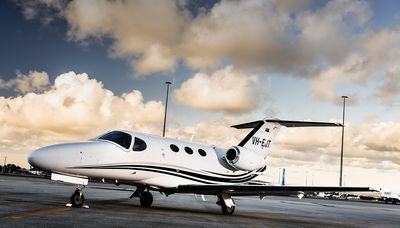 You will be collected from Margaret River airport for the short drive to Voyager Estate, via the famous Surfers Point at Prevelly where the world’s best surfers compete each year. You'll take an interactive behind-the-scenes journey through the Voyager Estate vineyards, visit the underground barrel cellar and see the winery before enjoying a guided tasting of the Estate’s wines. Next, a six-course wine-paired Discovery Menu meal awaits you in the Voyager Estate Restaurant. Finish off your perfect day with a return flight to Perth. 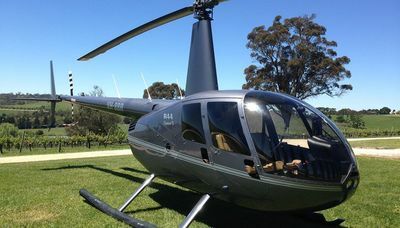 This experience allows the option of a helicopter transfer from Adelaide CBD to The Lane Vineyard where your visit will begin with a tasting of premium Occasion and Heritage wines paired with tempting tastes from the Chef. After your guided tasting, take in the panoramic view of Mount Lofty Ranges from the contemporary dining room while you take your time over a delicious two-course lunch with carefully matched wines. Experience the 1930s and open cockpit flying in a beautiful Waco biplane, soaring over the stunning McLaren Vale wine region and beaches for a breathtaking 30 minute flight. Next visit d’Arenberg winery for a hands on, interactive wine blending experience and leisurely degustation at d'Arry's Verandah Restaurant. Fly to some of Tasmania’s true icons on an exclusive helicopter scenic flight over Tasmania's most breathtaking scenery and famous landmarks including Wine Glass Bay and Cradle Mountain: a true wilderness experience! The journey continues with a wine flight at the Josef Chromy Cellar Door followed by a tasting for a two course lunch of fine Tasmanian produce matched with wines. The team at De Bortoli are delighted to arrange private helicopter transfers from Melbourne CBD taking in the incredible views of the Yarra Valley from above before your Unique De Bortoli Experience: a behind-the-scenes vineyard and winery tour to see what goes into making premium Yarra Valley wine followed by a seated gourmet cheese and wine tasting held in the De Bortoli Trophy Room and seasonal 3 course Italian-inspired lunch with matched wines. Brown Brothers has partnered with Goldrush Ballooning to create a thrilling gourmet hot air balloon experience. Take in the beautiful King Valley and surrounds from the sky at dawn, with endless views of vineyards, the spectacular Mt Buffalo and beyond. The experience begins at the Brown Brothers historic barn, where you will given a detailed briefing by the friendly crew prior to taking off, then enjoy a one-hour flight above Victoria’s picturesque King Valley at sunrise. On arrival back at the winery, sit back, relax and enjoy a Prosecco breakfast at Patricia's Table restaurant. Last, but by no means least, is our Ultimate Ultimate Winery Experience: Over 7 days escape in a private aircraft on an epic food and wine adventure. 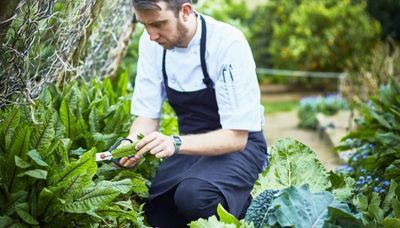 Exploring the tastes of Australia as Air Adventure guides you and your senses through the ultimate in gastronomic delights across South Australia, Victoria and Tasmania. Unique encounters await you beyond the cellar door in these renowned wine regions, where tasting great wine is only part of the experience.